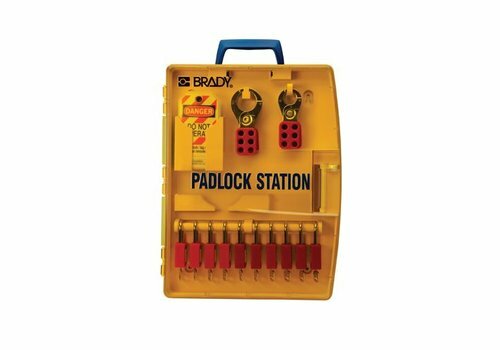 One-piece moulded construction for increased ruggedness. 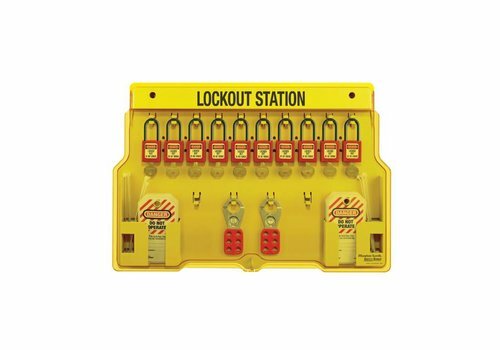 Polycarbonate material provides twice the heat resistance and quadruple the impact resistance of normal stations. Exclusive transparent cover protects contents. 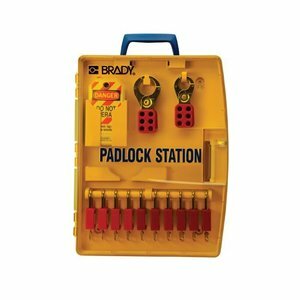 Padlock station can be locked with a padlock. 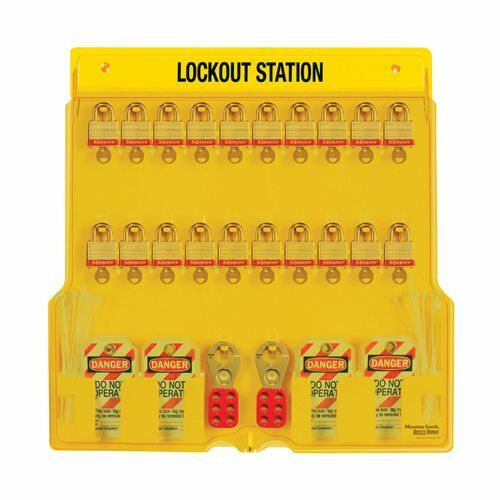 Innovative hinges hold cover open. 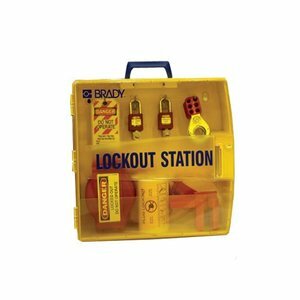 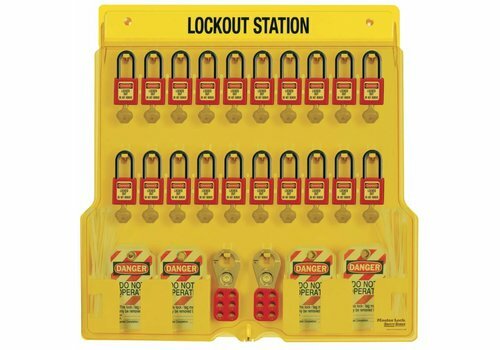 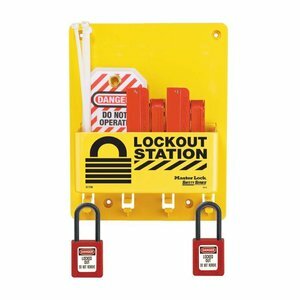 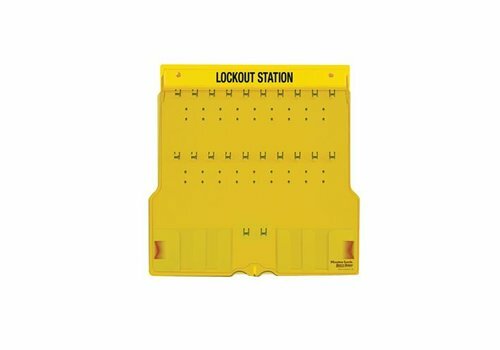 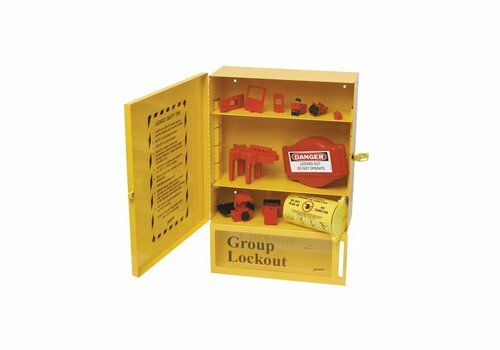 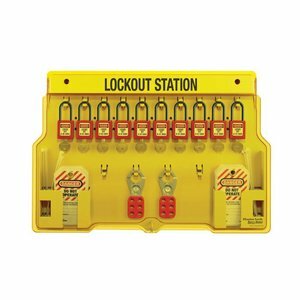 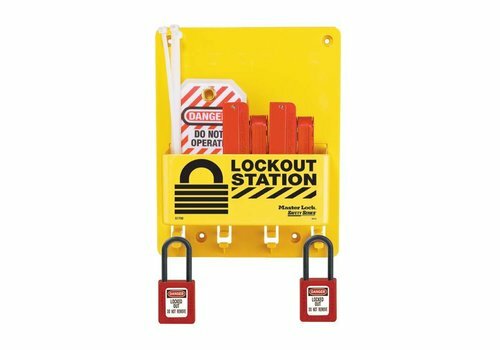 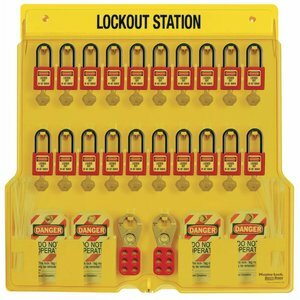 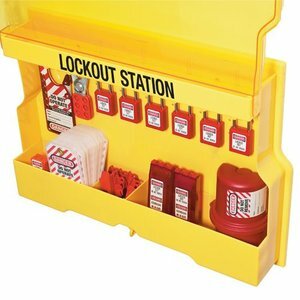 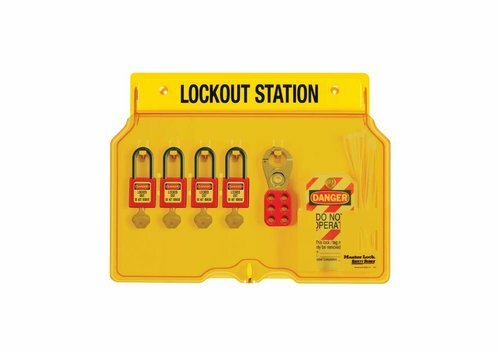 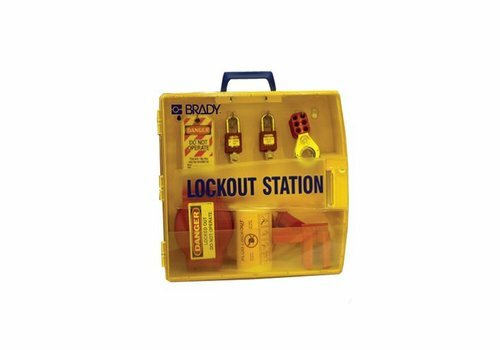 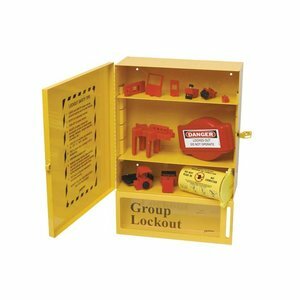 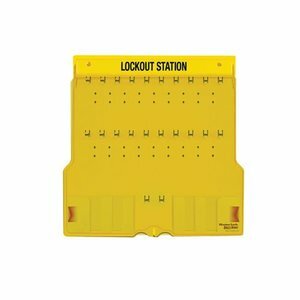 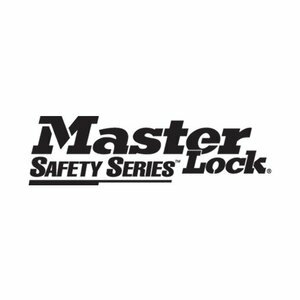 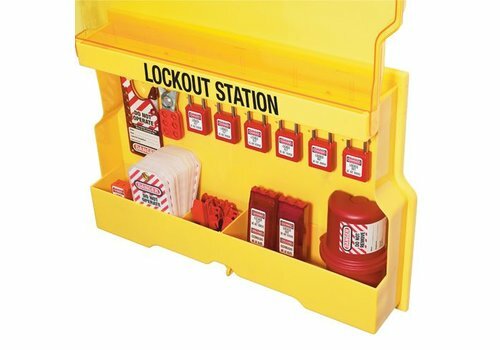 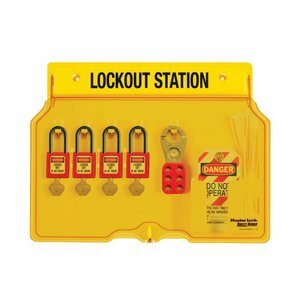 Filled Lock-out station with Zenex safety padlocks and accessories.